Eid is a festival of lights and joy. It is celebrated very warmly and completely and awaited all the year by all. 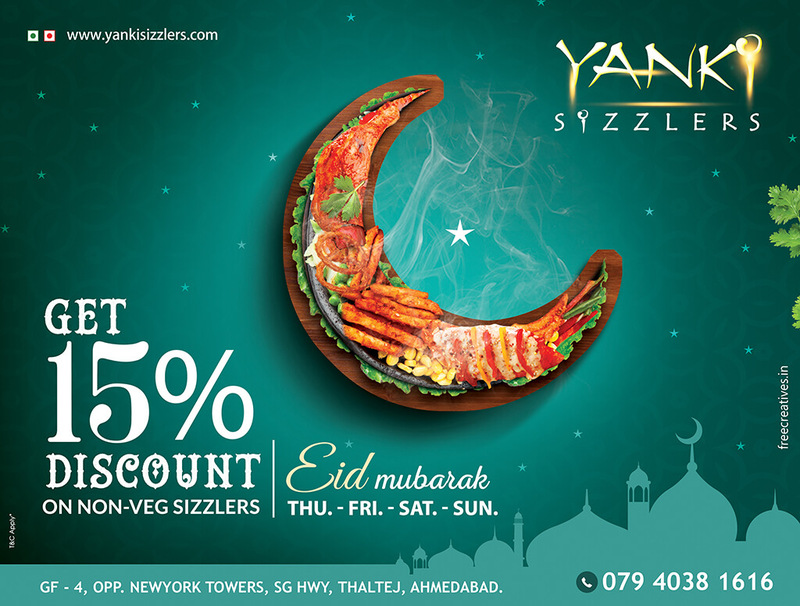 We celebrate Eid by eating sweets, meeting and greeting loved ones and doing lots of shopping and buying new clothes. Buying new clothes for this day is a tradition in our homes and everyone especially girls wants to look beautiful and attractive. And I am pretty sure, in your house too! The search for a perfect and pretty Eid dresses according to the latest trends and fashions began very early. Now the question is what to wear? It is a really a confusing question to decide on a suitable and best brand, design and color for Eid dress. Therefore, in this post, I am going to share the most beautiful dresses’ ideas and brands for girls and women. These ideas will give you a chance to look pretty and adorable on this special occasion. You can easily find these designs on well-known clothing designer stores or can stitch them by yourself. You just need to pick the idea correctly and suitable color for that. So are you guys ready to rock this Eid in style? If yes, then check out the trendy outfit ideas that I am going to discuss that will bring the spotlight on you on this special day. It is an age of style and fashion where everyone wants to look pretty and beautiful according to the occasion. It is crucial to look beautiful according to the latest trends on Eid day. Many styles are in nowadays which will give you a glamorous look and you can choose according to your choice. When it comes to traditional and stylish wear, you simply have to remember Kurtis with beautiful palazzos because they are never going out of style. The vibrant palazzos are the new fad in traditional dressing with different style shirts. Pastel colored Kurtis and palazzos will give you the right touch of refinement and elegance to walk and put on some statement jewellery as a finishing touch on the happy day of Eid. It is another style that is very popular nowadays to give you a graceful and beautiful look. You can carry it with palazzo or pent pyjama with contrast or of the same color according to the Eid festival. The stuff and color will be chosen according to the weather as in summer people mostly prefer light colors while in winter dark and vibrant colors are more popular. It is one of the latest trends all the time which gives a decent look to you. Long or short shirts can be combined not only with the trousers, but cigarette pants or even with the shalwar. Shirts with shalwar are one such fancy dresses trend that would never go out of fashion at all. It is still trendy and remains while you can go for suitable colors in this type according to your choice to look trendy on the Eid day. The shararas are becoming very popular in the latest fashion trends. It is a very suitable dress for eid and you can carry it in the best colors to make yourself ready exactly according to the tradition as well as fashion. Frocks or short shirts with shararas will give you a striking look on the Eid day. Most people like to remain simple yet want to carry outfits according to the latest trends. It is possible and for this, you just need to be fashion-lover and creative. The simple dress could be stitched or designed in very best ways. For example, a shirt with small front and long back touching toes is a very popular style and gives a stylish look. Moreover the stylish trousers with simple shirts also very good choice to wear on Eid where you want to combine the style and simplicity. A new and popular dress nowadays to look pretty and stylish are the layered shirt with elegant trouser. In this design, the sleeves and shirt are stitched in many layers which gives a very different and beautiful look to your dress. You can carry it with sharara, palazzo or trouser as it will look pretty with all. Are you modest when it comes to dressing up traditionally? If yes, let your dupatta do the talking while you dress up minimally otherwise. Choose a light colored suit and add some spice to it by combining it up with a bright and heavy work dupatta. It will give a very stunning and elegant look to you. Some girls want to look stylish than traditional. Are you the one? Maxi dresses are something that never fails to work up your curves. They can be carried off elegantly by people of all sizes. They have the flair, the style and yet are the outfits with a stylish look. For the occasion choose dresses with the best prints in lively colors if you want to go for something a bit different. Make a hairstyle and wear jewelry accordingly and look gorgeous! It looks really beautiful and stylish where you can choose a vibrant color for the shirt and dim color for trouser. This is very trendy nowadays where you can combine the comfort and style to look adorable. Eid spreads smile and happiness all around. Let yourself be recollected for being stylish and self-confident after choosing the right style and brand for you on this special occasion. Your happiness would be doubled if you look as beautiful and stylish on Eid as you want. So let’s start thinking which style and brand suits you the most to look out-class on Eid day! Never lose any opportunity of seeing anything beautiful, because beauty is God’s handwriting. Now let’s talk about women beauty, women love to decorate not only their surrounding but their appearance too. 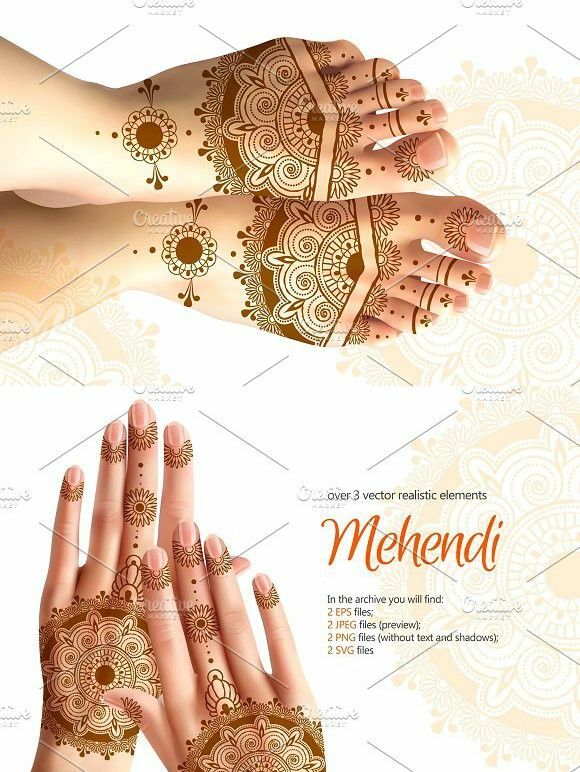 They love to do art on their hands foots and face, but here I will talk about most creative and attractive aspect which is none other than latest mehndi design 2019. I know all of you are getting crazy to know latest Mehndi Design of 2019. Mehndi is an inspirational and most creative art work that all of you love to do according to specific event and most of the time as a charm. And it’s another genuine reality that all age women love to get indulge in Mehndi rather than bothering events. If we talk about kids, crazy, they actually put more energy in any chore when they had Mehndi on their hands. No doubt it’s little bit difficult to apply unique and elegant Mehndi design on kids had but don’t worry here we are gathered to discuss not only about latest Mehndi Design but also how to manage stunning and adorable designs according to hand shape and size. Wedding comes in the list of those events for which you must have ready to not only give unique appearance but you also prefer lot of luxuries and accessories as your wearing , but Mehndi is unbeatable aspect from all accessories. Let’s talk about which type of latest design are available in the year of 2019 specially admirable according to your hand shape. If you have long shape hand you must apply Mehndi with combination of circle and small flower and fill complete finger with floral art on your finger. But if you have small hands in fat look you must use the combination of Arabian and traditional art, which give you long hand shape and elegant appearance. Yes no doubt most of girls love to fill their complete hand with Mehendi design and most of you prefer to draw small flowers. Here I have paste some Indian, Arabian and traditional Mehndi design for both long and small hands for wedding. Your prince hands can be perfect canvas to try out some special design. Basically Arabian designs have not long flowers and heavy micro floral patterns that’s why it’s an appropriate design for all age women. If you apply Arabian elegant patterns on back and front palm of your hand you will be admirable in your appearance, because no one can ignore unique beauty. After drawing Mehndi design you must fill inner area of the pattern to give a smart and elegant look to your hands. Here I am going to give you pretty clear details about modern traditional Pakistani floral Mehndi design that not only gives your hand an admirable appearance but also ready to add charm in your Mehndi design collection. Most of the traditional designs are started from the corner of the arm and flow towards your hand if you are crazy to draw heavy pattern. If you are interested to make a combination of light Mehndi pattern with bangles you can break the record because latest traditional Mehndi pattern are amazing designed for all small and long shape hand on the both sides of the hand. In traditional design both hand and finger cover patterned are ready to rock you event. Inspirational designs are sketched below to give you clear understanding. Bridles are free to draw any pattern according to your wedding wear. Some of the bridles prefer to draw light patterns, for all those girls modern design participate with unique floral flowers and glitter work. You will be shine like a diamond when you have a mehndi and shine combination on your hand. On the other hand of you talk about those girls who love to draw heavy and sharp design in both Indian, Arabian and Pakistani combination they can shape their hand in admirable frame. Because Mehndi come in those accessories which always gives you nonstop adorable look at any event. For bridal Mehndi you must focus on neat drawing because sharp deign can only give you clear sketch when you apply it clearly. Mehndi is not a permanent Tatoo but it gives more fresh and stunning appearance at any event. It’s a genuine reality that when you have lot of patterns variety, most of the tie you get confused in the selection but after observing above collection you will be more confident to draw elegant pattern. If you are drawing your creative art on the back side of kids you must first observe the child age because if you follow age, event and design art combination then you can amazingly give a admirable appearance to your art. On the back side of the kids you must start the deign from the start of the arms because now you can add more material in your Mehndi art. Start your design from the kids art to show proper shape and draw your design up to finger in a single wave. Just have a look in the following article to sketch more clearly. I hope that now you are going to get satisfied after this variety of best mehndi designs 2019. Try your desired one and or even change the designs i mentioned using your creativity. I give SheMag permission to collect and use my data submitted in this form.